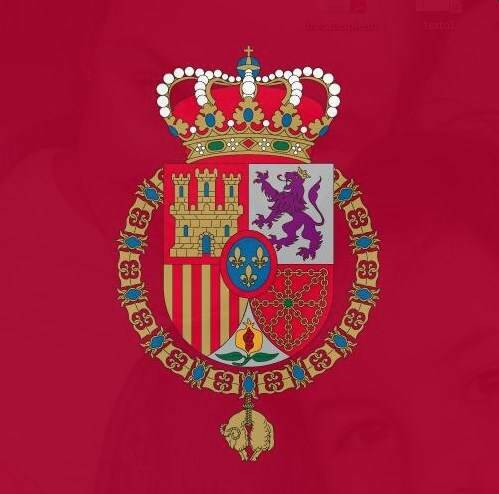 Members of the Spanish Royal Family have continued focusing on the recent Germanwings airplane crash on a flight from Barcelona to Dusseldorf. Late last week King Felipe held a meeting in his dispatch at Zarzuela Palace with Prime Minister Mariano Rajoy to discuss the incident. 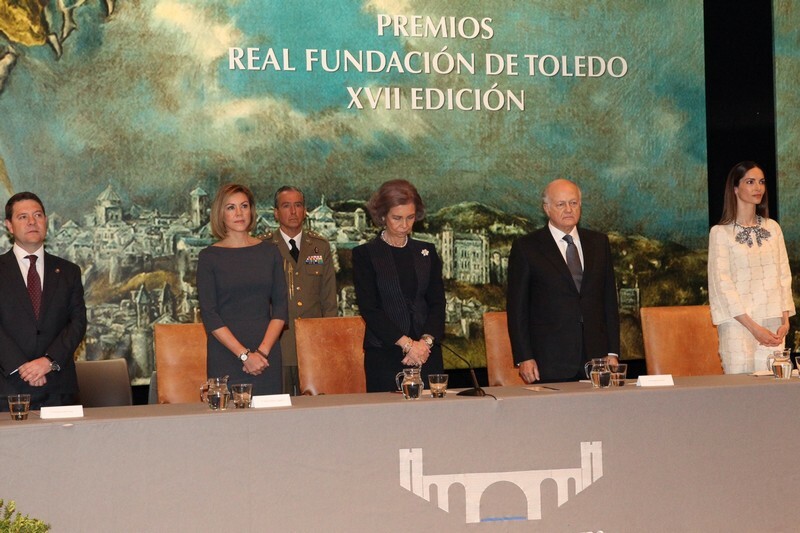 Queen Sofia, his mother, presided over a moment of silence during an awards ceremony in Toledo. 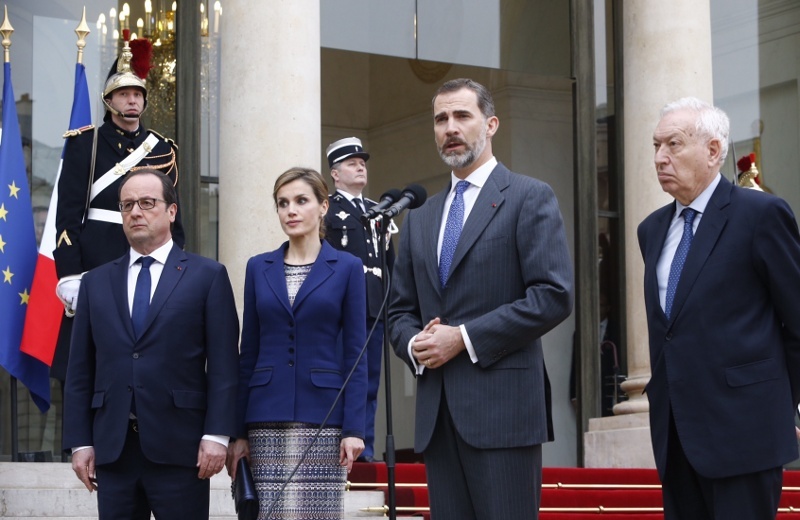 King Felipe and Queen Letizia were starting a state visit to France when the plane crash. They cancelled their plans as a result. King Felipe and Queen Letizia continue marking “firsts” of their young reign. Last week was their first time viewing a performance as monarchs at the Royal Theater. 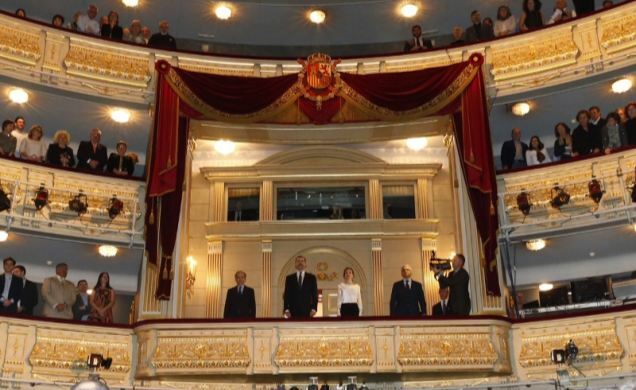 The Royal Theater in Madrid sits right across from the Royal Palace and has a balcony set aside for members of the Royal Family. Rafael Spottorno, former head of the Spanish Royal Household under King Juan Carlos and top adviser under King Felipe, is defending the use of a controversial credit card, which led to his downfall. Spottorno used a card from the bank Caja Madrid when he was head of the institution’s charitable arm. He is said to have spent more than 200,000 euros with it. A number of public officials are under investigation for receiving and using cards from the government-owned bank. Spottorno left the Royal Household advisory role because of it. But in a recent court hearing Spottorno said the card was legitimate and for personal expenses as part of his salary. 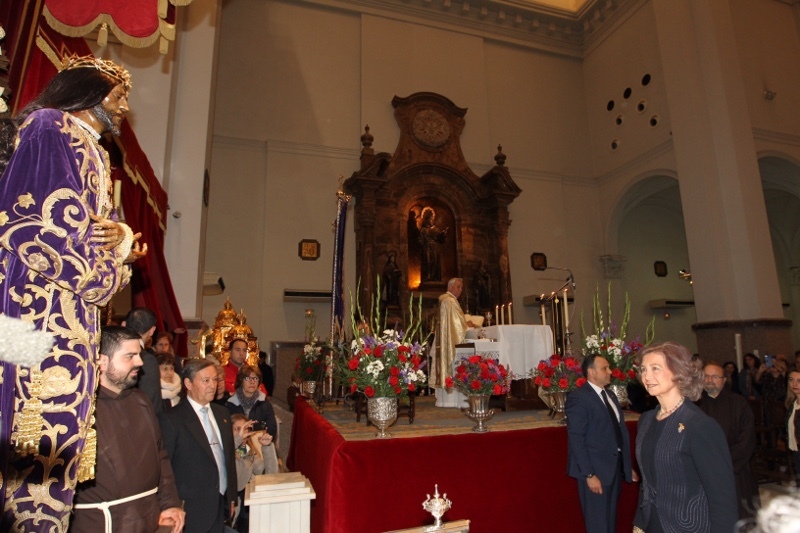 Queen Sofia earlier this month continued a Spainish Royal Family tradition, when she kissed the feet of the Christ of Medinaceli at the Medinaceli Basilica in Madrid. 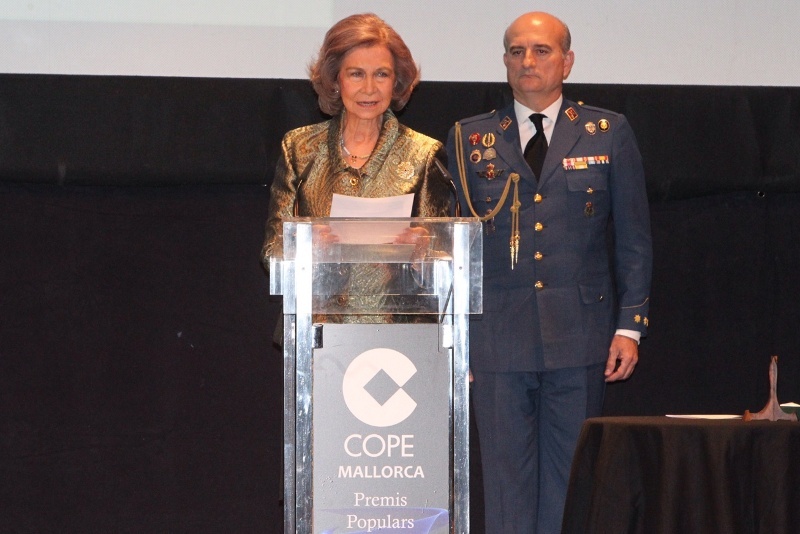 Queen Sofia, even after her husband’s abdication, remains among the most popular members of the Spanish Royal Family, and also deeply committed to promoting the institution. 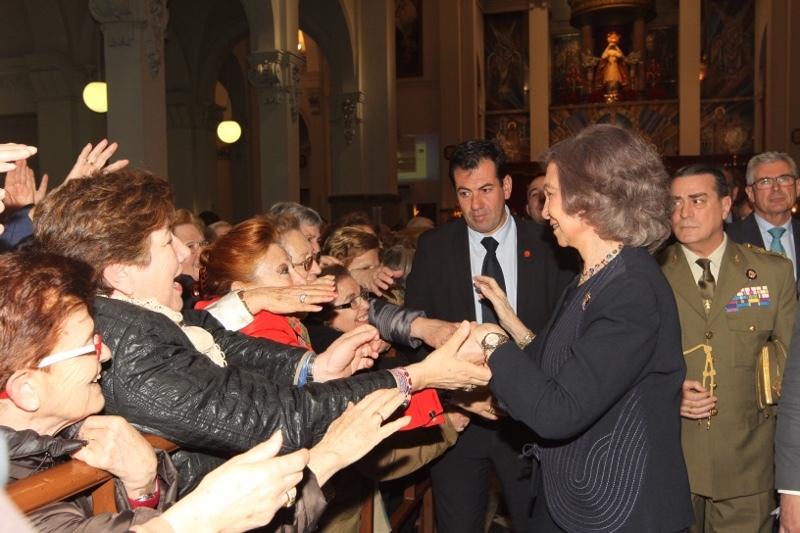 Queen Sofia is also known for being very approachable but also very religious. The Spanish Supreme Court has tabled a paternity suit against King Juan Carlos, King Felipe’s father. At issue was a long standing claim by Belgian citizen Ingrid Sartiau, who claims to be Don Juan Carlos’ daughter. 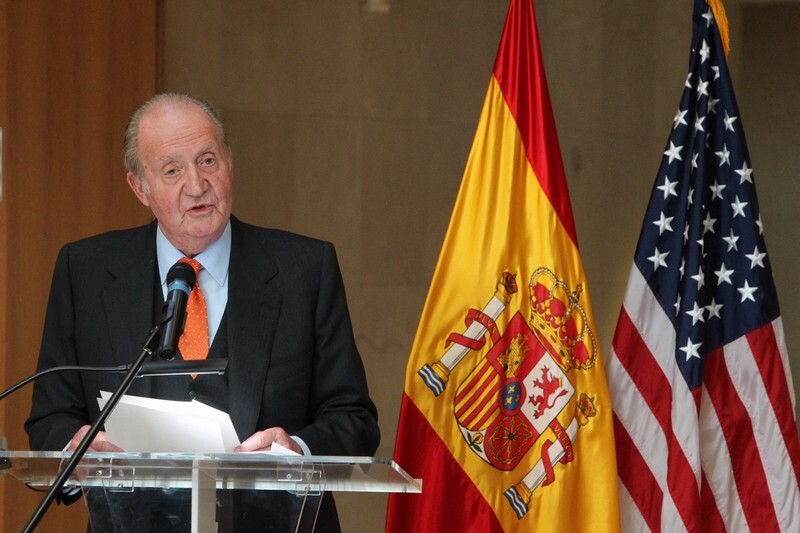 King Juan Carlos was constitutionally inviolable during his reign. But his abdication last year opened the door to the suits. The Supreme Court quickly rejected a claim by a Spanish citizen, but agreed to consider one by Sartiau, who.was born in 1966, abut four years after Don Juan Carlos married Queen Sofia. King Felipe has presided over several high-profile events in Catalonia in recent days, amid ongoing separatist rumblings there. 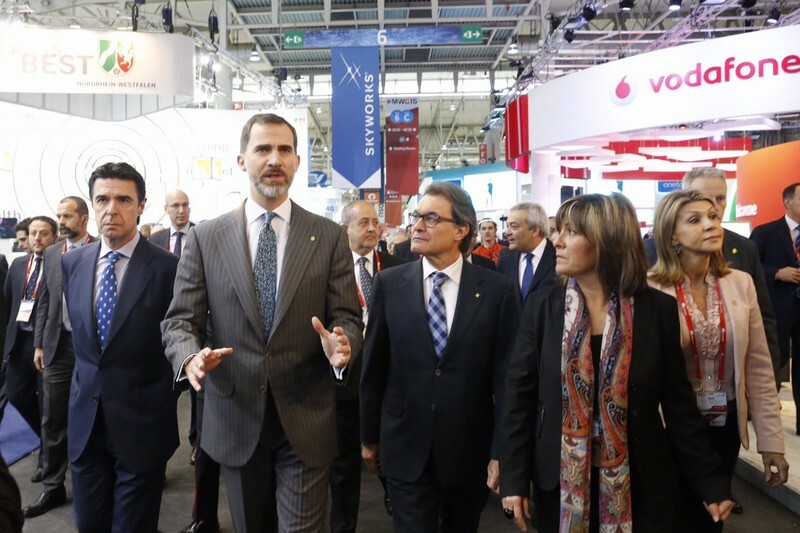 His Majesty helped launch the large GSMA Mobile World Congress 2015 with a dinner at Pedralbes Palace, once an official residence for the Spanish Royal Family. He then toured the exhibits at the Fira De Barcelona venue along with national and regional leaders. The King coincided with Catalonian President Artur Mas, who recently scheduled elections for later this year as a referendum on independence. Separately this week, King Felipe welcomed Renault-Nissan Alliance CEO Carlos Ghosn at Albéniz also in Barcelona. In Madrid this week, part of a busy few days for the Royal Family, King Felipe and Queen Letizia welcomed Colombian President Juan Manuel Santos. 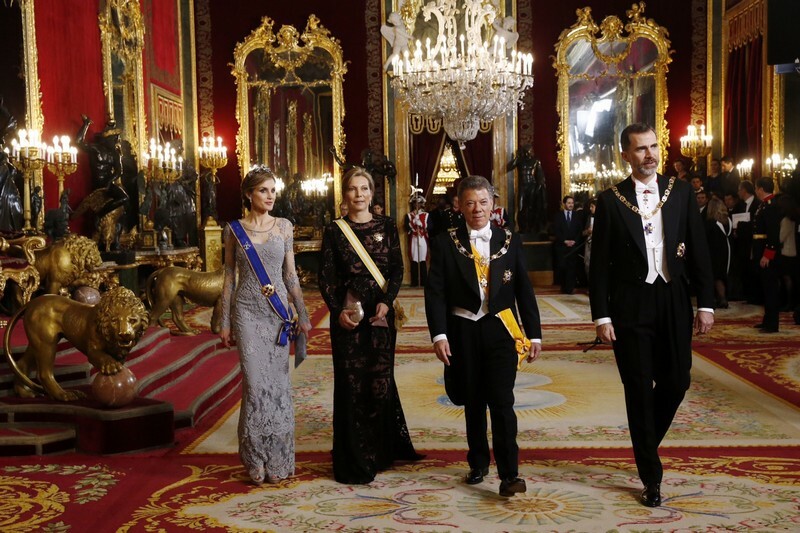 As is customary, Their Majesties welcomed the President and his wife during an official ceremony at El Pardo Palace, then a meeting at Zarzuela Palace and then a gathering at the Madrid Royal Palace.